U.S. Navy patrol blimp L-8, on a routine patrol over the skies of World War II-era San Francisco, crashed at 432 Bellevue Avenue in Daly City. The weird thing about the crash was that the blimp's crew had vanished. All the gear was in perfect condition, there was no sign of a malfunction or attack, the parachutes and rubber raft were on board, and although the radio was functioning perfectly the crew had not radioed in any distress calls. 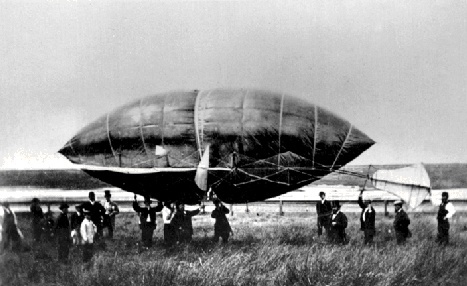 The blimp's door had been latched open, but an investigation concluded that voluntary abandonment was unlikely, given that the crew had no cause to leap from the blimp. Both crew members were experienced blimp pilots, and both are still listed as missing; their mysterious disappearance has never been adequately explained.